House Clearance Innerleithen: Irving good to talk a few minutes ago. The property to clear is in Innerleithen. We all live away from the area so we would have to come to some arrangement with keys etc. Can you give me a postal address to send on if that is the best way. We would require carpets and curtains + the 4no electric heaters & timers to be retained. It is a 2 bedroom bungalow, with external garage and 2 small outhouses. If we could tentatively arrange for next Friday that would be good I look forward to hearing from you. Irving I have posted a key down which should be with you tomorrow. Please arrange to clear the house, garage and stores this Friday. The key I have sent opens the door near the garage, lower lock. If there are any problems getting in which I doubt, a neighbour has a set, which we should be able to arrange. The keys to the external areas, outhouses and garage, will be in the kitchen on the microwave. Please leave these keys in the kitchen once finished and post the single key through the door.Please leave carpets and curtains plus the new electric heaters. 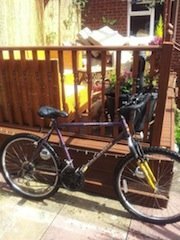 A 26 inch Raleigh Activator purple mountain bike. 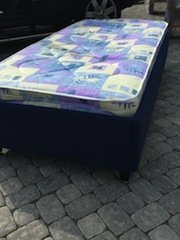 A navy blue single divan bed base on wood legs, together with a single mattress. 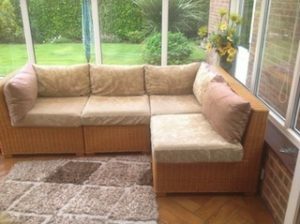 A four seater Rattan conservatory corner sofa, upholstered in cream damask patterned fabric. 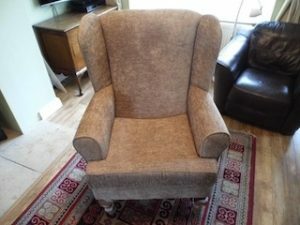 A wing back gentleman’s armchair on solid wood legs, upholstered in camel fabric. 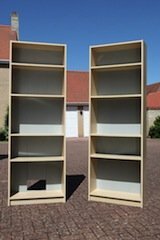 A pair of tall standing ikea book cases, each with five shelves. 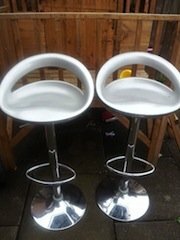 A pair of silver breakfast bar swivel stools, on chrome base with foot rests. 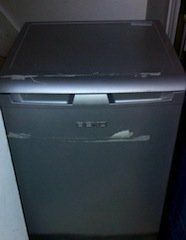 A silver Beko under counter fridge. 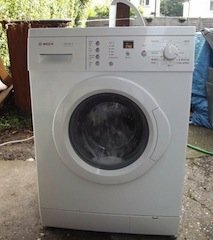 A white Bosch 1400 spin under counter washing machine. 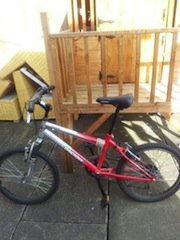 A 20 inch silver and red Tornado mountain bike. 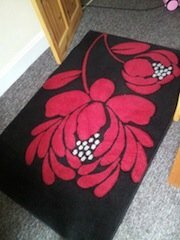 A large black and red wool area rug, depicting red flowers. 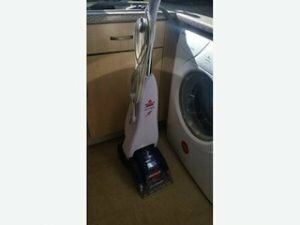 A white upright Bisell quick was vacuum cleaner. 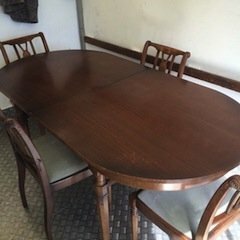 A vintage mahogany extendable oval dining table, together with four matching dining chairs. 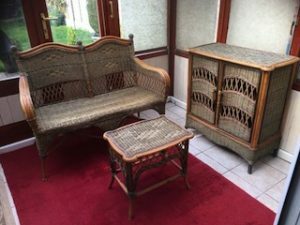 A three piece rattan furniture suite, to include a two seater high back chair, a coffee table and a sideboard. 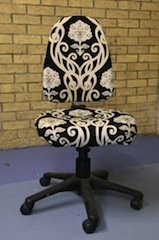 A high back swivel desk chair, upholstered in black and white ornate patterned fabric. 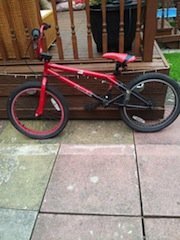 A 20 inch red and black Joker BMX bike. 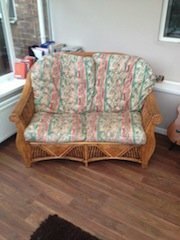 A two seater high back rattan sofa, upholstered in colourful patterned fabric.